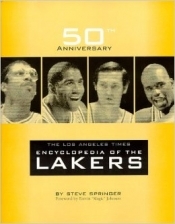 This event, coordinated by Joelle Biegel, Community Business Development Manager for Barnes & Noble, comes just before the start of what promises to be an interesting new season for the Los Angeles Lakers, as it comes during the time of the impending retirement of one of its biggest stars of all time, Kobe Bryant. In addition to Springer at this Local Author Night, Biegel has pulled out all the stops, as she also includes Former White House Chef Louis Eguaras and Dave Berg, former writer & co-producer of the Tonight Show, The Jay Leno Show, The O’Reilly Factor & NBC News. Local authors will meet and greet book lovers and sign their latest literature releases. See Press Release. 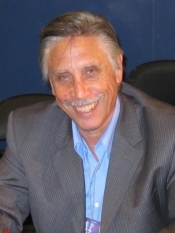 Dennis Moore is an Associate Editor with the East County Magazine in San Diego and the book review editor for SDWriteway, an online newsletter for writers in San Diego that has partnered with the East County Magazine, as well as a freelance contributor to EURweb based out of Los Angeles. He can be contacted at contractsagency@gmail.com or you can follow him on Twitter at: @DennisMoore8. Thanks for Supporting Local Author Night in Valencia! Earvin "Magic" Johnson in a surpring move stepped down as President of the Los Angeles Lakers, perhaps due to the team falling short of earlier expectations, despite landing LeBron James. Shortly thereafter, the Lakers and coach Luke Walton mutually agreed to part ways.